TAYLOR Swift is one of the pop superstars who give their support acts the rock star treatment. Kiwi duo Broods were hand-picked by Swift to open the Australian and New Zealand legs of her Reputation tour after she checked out their show in Los Angeles. Most stadium-worthy artists place heavy restrictions on how much stage they can use for their set but Swift has told brother and sister Caleb and Georgia Nott to shake it off and enjoy the experience of performing on her massive catwalks and wings to more than 50,000 people. "She's more like 'What do you need from me to make your show dope'," Caleb said. Swift is a generous host to her support acts. Picture: Don Arnold/TAS18/Getty Images. 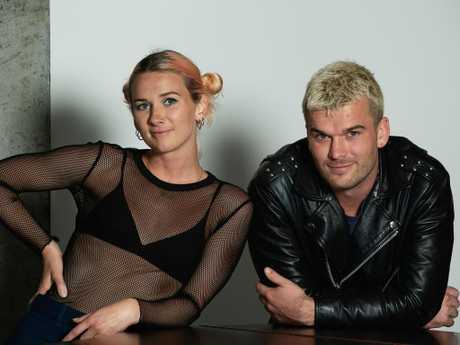 Triple J favourites Broods, whose latest single Peach is on the rise as they make their way around the country with the tour, have discovered Swift is also championing them with radio bosses while she is in Australia. The astute pop businesswoman conducts meets and greets with the commercial radio tastemakers who control what Australian music fans hear just before Broods goes on stage. And she expects them to be in their seats watching the Kiwi duo. Broods get the big stage. All of the stage. Picture: Paul Kane/Getty Images. Georgia explores the Reputation catwalk. Picture: AAP Image/Richard Wainwright. "She meets all the radio heads before the opening acts start and she makes sure they all go out 10 minutes before the show starts to make sure they are out there watching them," Caleb said. Tequila shots and plenty of practise backstage help quell Georgia's nerves before she later joins the Reputation star and seasoned Swift opener Charli XCX to sing Shake It Off during the show. The Broods singer said it was surreal to be standing next to Swift singing one of her biggest hits just a decade after she was a teenager playing Love Story over and over in her bedroom. "After we play, I'll have tequila shots, psyche myself up, practise before Shake It Off," she said. "I was freaking out in Perth at the first show. It wasn't until the day after on the Saturday morning that I realised what I had just done. 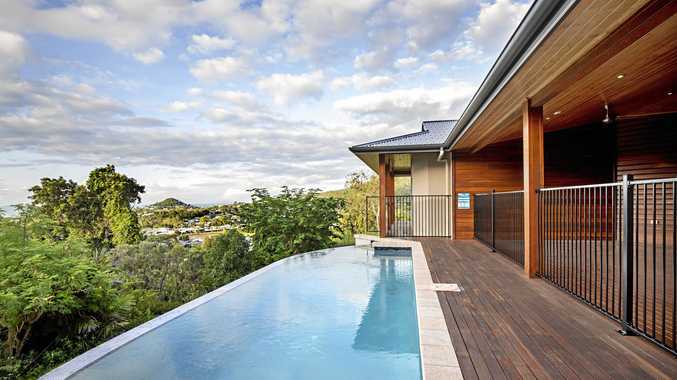 "I was lying in bed looking at the photos and videos of it and I started crying. I can't believe that this is my job. It's quite overwhelming." Broods new single Peach is scoring love from the Swifties. Picture: Monique Harmer. The pop pair said they had ample evidence of the Taylor effect on their blossoming career. After a tough year which saw them dropped by their international label and face the challenges of finding a new record company, they are now finding new fans among the massive army of Swifties. "A lot of Taylor's fans are at their very first show. It's exciting to be reaching new people," Georgia said. "We've had a stream of Taylor fans leaking into our social media following and it's been crazy to see it rise and rise just from being on this tour." Swift brings her mind-boggling Reputation show to Sydney on Friday.